The Ithaca College School of Business holds several events each semester, ranging from guest speakers, student organization fundraisers and alumni visits. I joined the marketing team of the School of Business events coordinator during my senior year of college as the first student to hold this position. As the events coordinator, I was responsible for planning all aspects of each event, from organizing logistics to promoting the events to providing hospitality and management during the events. During my employment, I successfully planned several high-profile events with speakers including Ken Fisher (CEO of Fisher House), Hamdi Ulukaya (CEO of Chobani Yogurt), Mark French (Former Senior Vice President of NBC Everywhere; Currently CEO of Court Grip) and Stew Leonard Jr. (CEO of Stew Leonard's Grocery). In addition to planning events, I also assisted our school Marketing Communication Manager with marketing efforts for incoming students and alumni. I loved that my position at the School of Business is constantly evolving and changing, so there was never a dull day in the office! 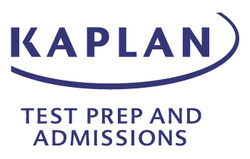 During the fall of my senior year, I started working as a Campus Representative for Kaplan Test Prep. In my position, I was responsible for promoting Kaplan Test Prep for students who were interested in graduate schools. As the only Ithaca College campus representative, I designed and implemented a marketing plan that included talking at student organization meetings and tabling in our campus center. Additionally, I also spoke at Cornell University events, like their junior premed meeting. During my time with Kaplan, I became the top-preforming college representative in my region. The Campus Center and Events Services office is responsible for planning the logistics of all on campus events. During my time at CCES from my sophomore through junior year of college, I was responsible for planning events according to a client's demands, as well as managing my own events and those planned by my co-workers. To plan events, I created event summaries, which outlined all of the client's set-up, audio-visual, and catering needs. While managing events, I used the event summary to ensure that all of the client's requests are supplied. This position trained me to think on the spot and provide excellent customer service to our clients. Students Consulting for Non-profit Organizations, or SCNO, is a national student organization that creates strategic plans for local nonprofits. Each semester, we enter semester-long engagements with local non-profits. Teams create a plan that addresses the organization's marketing specific needs. While working with SCNO I started out as a general member, but quickly moved up to a Public Relations Senior Consultant my sophomore year, where I consulted other groups on public relations questions. During my junior year in college, I served as a Project Manager, where I created an engagement agreement with a client and then led a team of 6-8 students to accomplish the quantifiable goals.